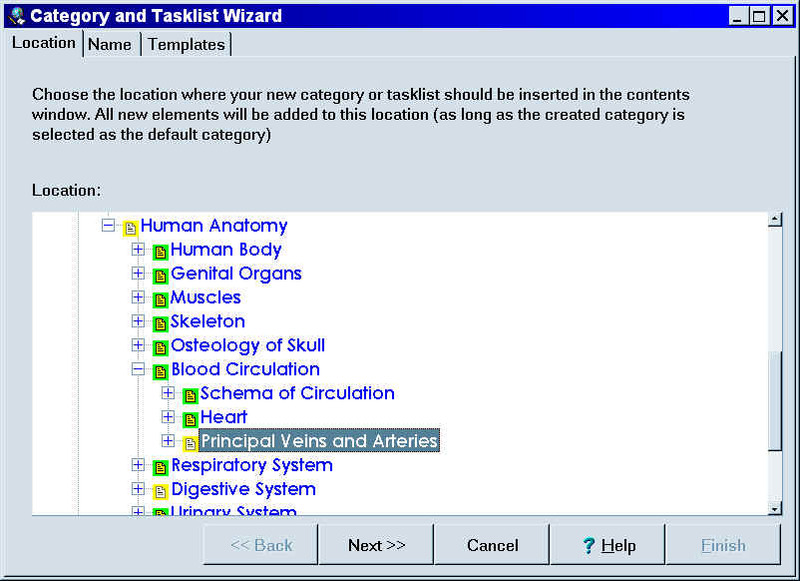 Category and tasklist wizard - you can now use a simple 3-step wizard to divide your knowledge into categories, select the look of items in individual categories (templates), and set up new tasklists. Remote resources: you can save disk space further by pasting HTML files directly from your browser. This way only the raw HTML text will be kept on your hard disk. All other files that are included in the page (including framed contents, images, etc.) will remain on the remote server. If access time to such a server is reasonable, you can proceed with incremental reading and repetitions that will include remote resource materials. Occasionally, you need to review your learning material before it comes up for repetition. This is a particularly frequent case with article review in incremental reading. 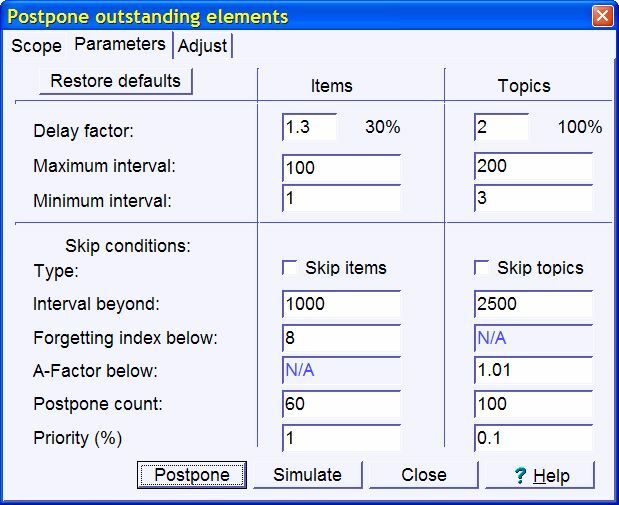 Until now, you could use subset learning to execute review and repetitions among the outstanding elements in the set. However, there was no such option for material that was not outstanding, except for manual review. Mid-interval review in incremental reading is mostly likely to take place when a portion of material receives a higher priority. For example, upon learning about new research into links between BSE and CJD diseases, you may want to review all relevant material (e.g. using branch review or subset review combined with search tools). Naturally, such a review will affect both memory traces related to the subset material as well as the priority of individual articles. 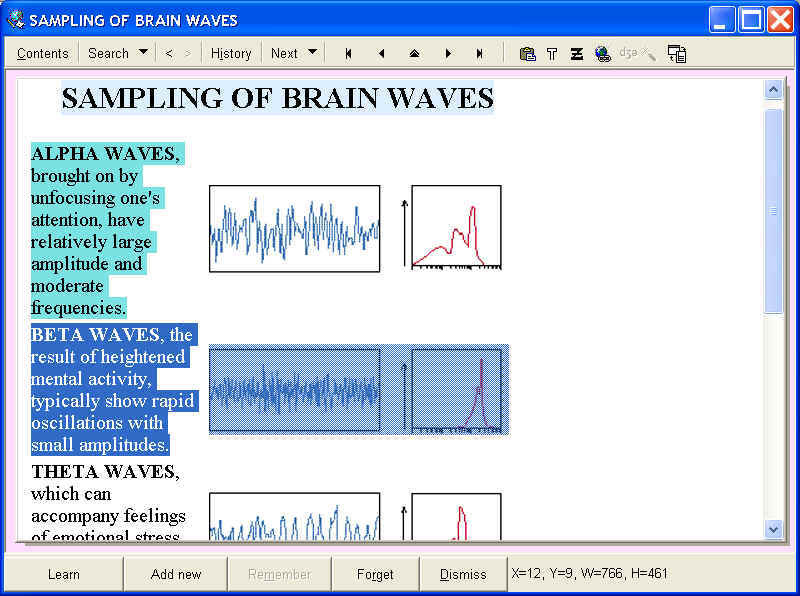 New tools in SuperMemo 2002 make it possible. Execute repetition makes is possible to execute a repetition on elements that are not outstanding. This has a different effect for items and a different effect for topics. 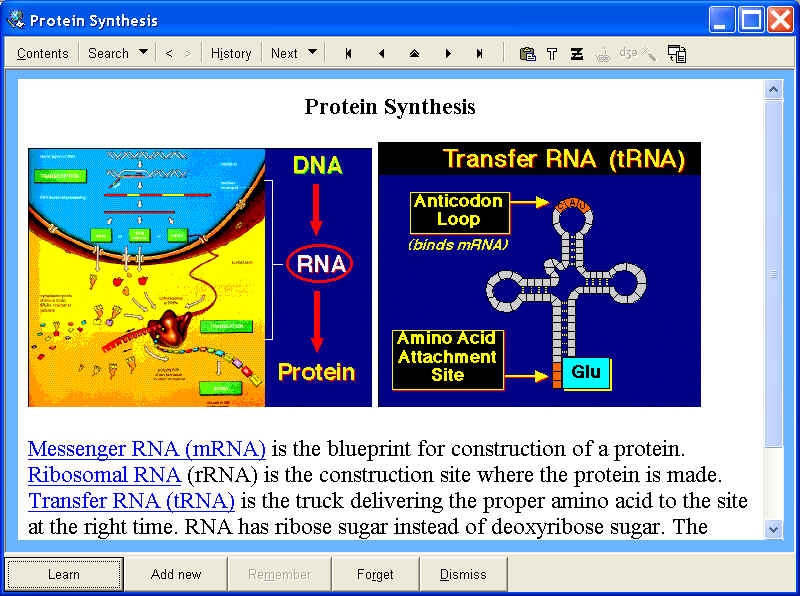 In the example above, OR-Search can be used to open a browser with materials related to the recent history of Afghanistan. All elements that include strings such as "Najibullah", "Hekmatyar", etc. will be used. However, all elements that include the string "Reagan" will be eliminated from the result set. The search definition can be saved with Save and reused in subset learning. After the search, Ctrl+Alt+L in the browser makes it possible to make repetition relevant to this particular subset. Neither alternative provides a complete solution to the problem of forgetting. Combining the two was left to the student. The optimum strategy was to use traditional learning to sift the strategic material, and then to memorize the strategic material with SuperMemo. 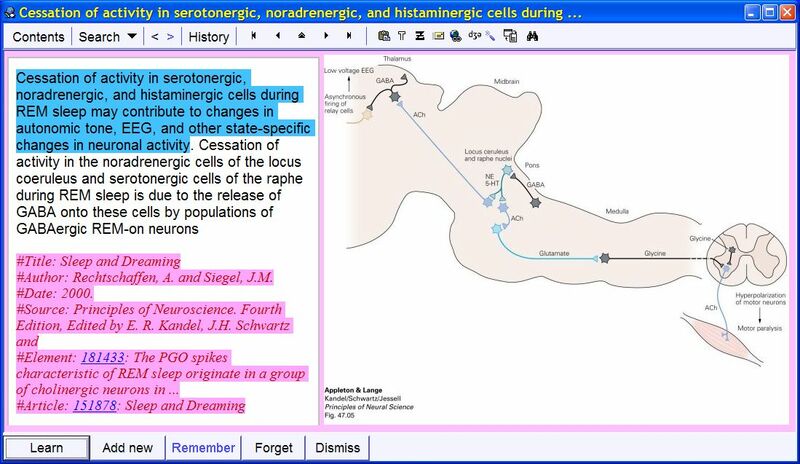 Incremental reading bridges the worlds of traditional learning and that of SuperMemo by providing a fluent transition between all priority levels starting from quick review, to repeated passive review, to active review, and to active recall at all level of the forgetting index down to 3% (i.e. nearly 99% recall rate). Incremental reading has now been extended by an anti-overload option: Postpone. 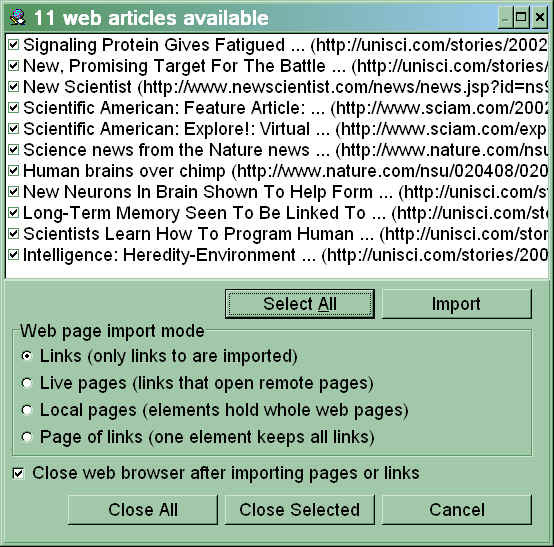 Before SuperMemo 2002, incremental reading did not automate the process of "prioritizing by overflow". In other words, high volumes of learning would force the student to manually reschedule learning in branches or subsets of lower priority. Reading lists were used as an imperfectly prioritizing stopcock against the material overflow. Manual rescheduling of the material was necessary to protect core knowledge from a dramatic drop in retention. Substantially reduced retention slows down the learning process not only via the forgetting index vs. acquisition rate relationship, but also through unraveling of the incremental reading process where the new knowledge is built on a shaky foundation of what has been learned earlier. In addition, the flow of thought in incrementally read articles becomes disrupted if the core knowledge retention is not protected. SuperMemo 2002 introduces a Postpone tool that makes it possible to reschedule lower priority material with a keystroke. The student can painstakingly work out priorities for individual subsets or branches of knowledge and then apply these easily on a daily basis at a negligible cost of time. Sound registry: names of sound registry members take only 287K but the whole registry with 27,000 files requires 640 MB of space (as much as fits on a single CDR/CD-ROM). Lots of space could be saved if MP3 format was used instead of outdated WAV. In pasting images, SuperMemo chooses between GIF and JPEG compression depending on which one brings a better saving in space. In the above collection, most of 1145 images were stored in the JPEG format. Important! Linked files statistics refer to files linked with Link : External file. This does not include hyperlinks from within HTML files, even if these point to local resources.